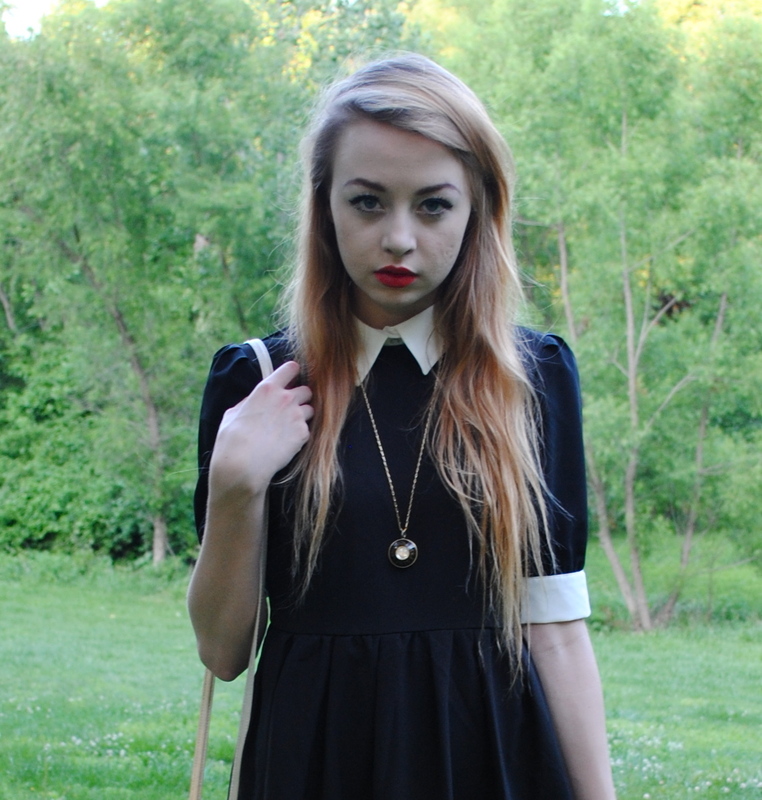 the dress can be found here, the shoes and bag are thrifted, socks are from ebay and necklace is vintage. I'm wearing my beautiful new dress from Romwe! I'm so excited that I finally got something from their website - I've drooled over their clothes for so long - they're incredibly stylish and I love the fact that they have completely free shipping to anywhere in the world. Also, tomorrow I go to my fourth concert of the summer! I'm seeing Los Campesinos! I could not be more excited for it - I'll be heading to St. Louis for the weekend. so wednesday adams!! love it! !